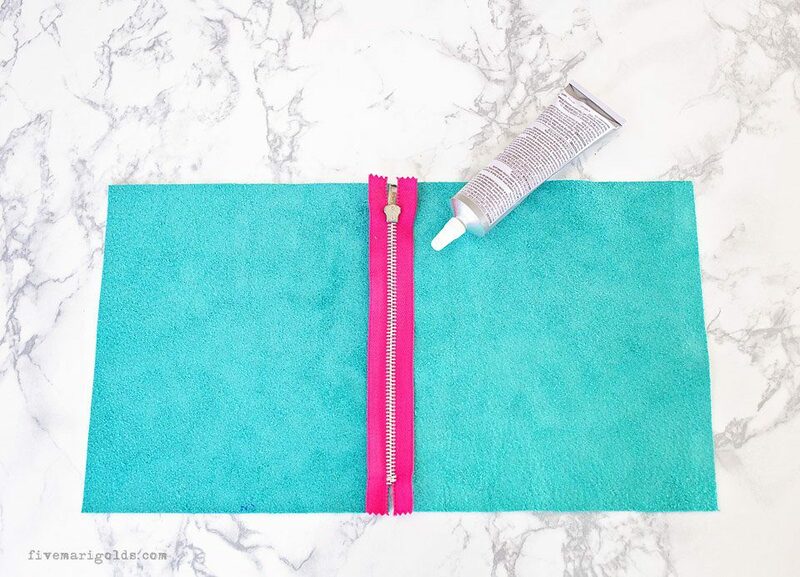 Today I’m going to show you how to make a beautiful no sew emergency kit in just 15 minutes. 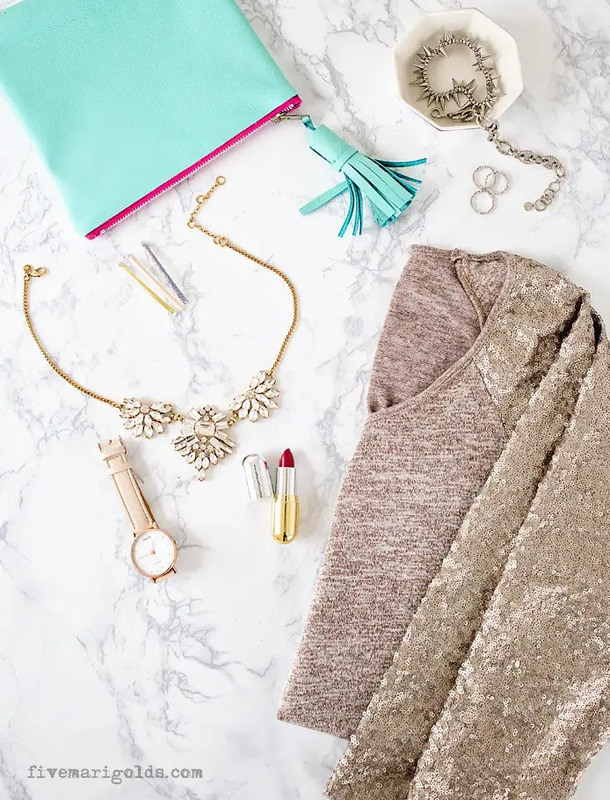 This must-have accessory can be used on its own as a clutch, or tossed in your purse, backpack or gym bag to keep your essentials in reach. 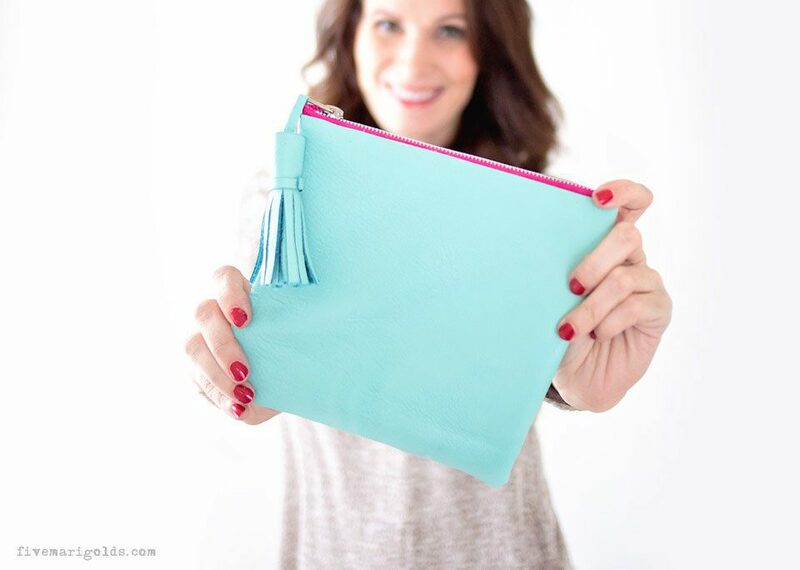 The inspiration for this go-to pouch came to me last summer, when I was headed out for an annual girls’ night out with lifelong friends. We had planned the outing for months and traveled in from around the country for our date. 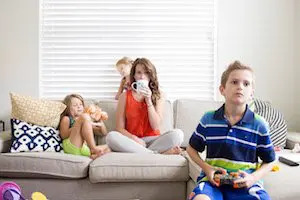 Only it was happening again – one of my bad headaches that had started earlier in the day had turned into one of my signature awful headaches, which meant that not only did my head feel like a balloon about to pop, but I also had major nausea. If you get headaches like these, you know exactly what I’m talking about. I’ve gotten these headaches for as long as I can remember. Those of us who suffer with frequent, debilitating headaches all have our own ways of treating and coping with them. 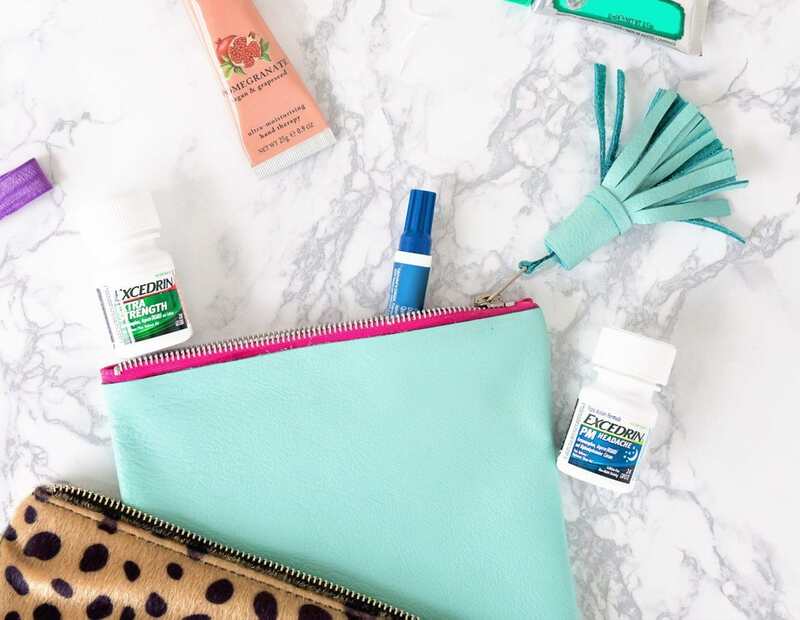 I’ve come to better understand my headache triggers over the years, and I know my early symptoms well enough to know that if I eat a healthy snack and take Excedrin® Extra Strength at the onset, I can wipe out my symptoms before they get too severe. Unfortunately, I’d forgotten to pack my Excedrin®, and was in a small, remote town without access to buy some. I was so miserable that I wanted more than anything to cancel, but I went anyway, not wanting to let my friends (or myself) down. Thankfully, it was there that I finally got access to Excedrin®, and started to feel relief quickly. Within 30 minutes, I was feeling back to my usual self and the night was saved. I knew I could never make that travel mistake again, and this emergency kit has been with me ever since. Cut two pieces of leather or fabric to the same size. I made mine 8.5 x 7.5”. Place the fabric pieces wrong side up, and use a strong glue (I used E6000) on the edges to adhere the zipper. Placing the the fabric right side up, use a strong adhesive on the edges and press right sides together. Let dry, according to glue instructions. Trim the bottom corners, then pull the fabric right side out through the zipper opening. 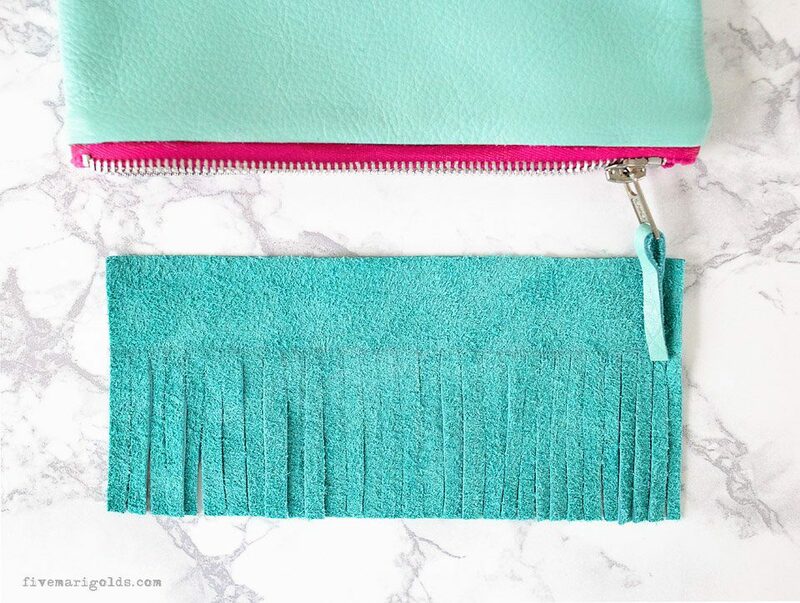 To make a decorative tassel, use a leftover rectangle scrap of fabric (mine was approximately 8 x 4”) and trim fabric in ¼” strips, leaving about 1/3 of the top portion uncut. Loop a small scrap of fabric through the zipper and glue together. Then, glue the top portion of the fringed fabric strip and begin rolling it, sandwiching the fabric zipper pull. 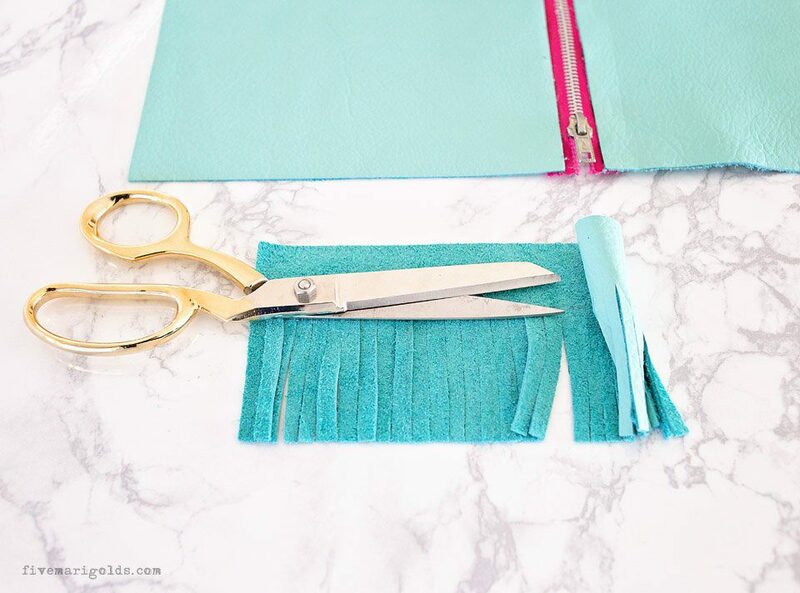 Secure the tassel with rubber bands until the glue dries, or tie a strip of fabric around the top portion to finish. 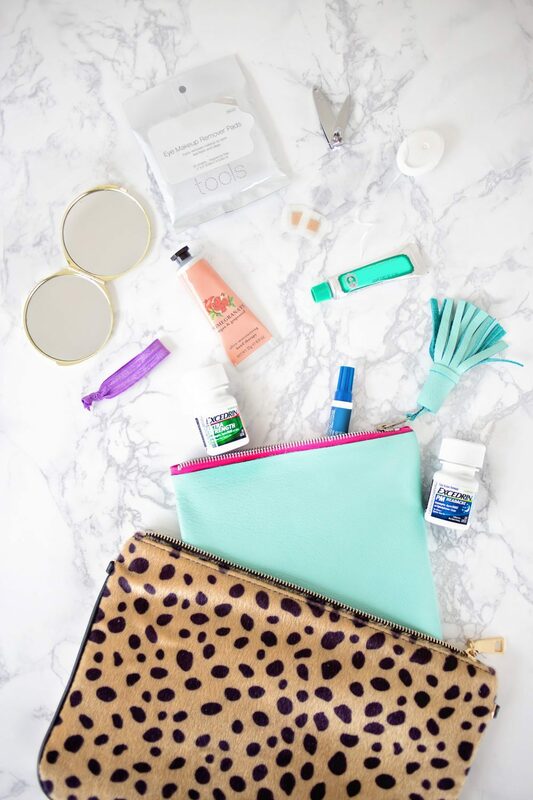 My clutch is filled with all of my emergency essentials: lip balm, hair pins, floss, bandages, a stain stick, cleansing wipes, a protein bar, Excedrin® Extra Strength for when I need to keep on keepin’ on, and Excedrin® PM Headache for nighttime headaches when I need a sleep aid. 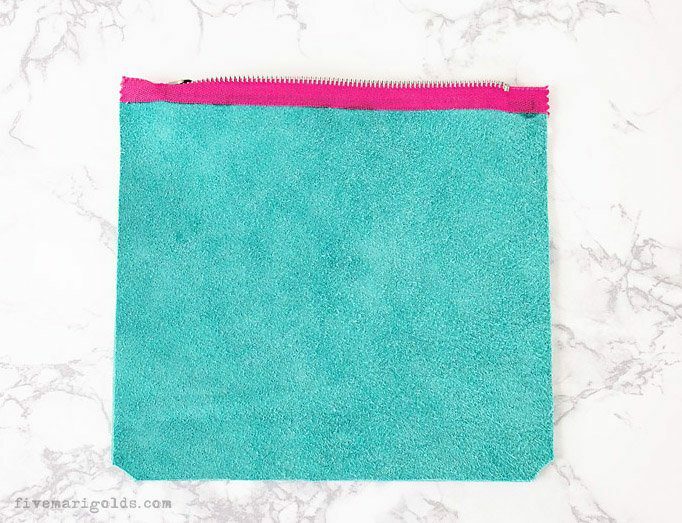 This is a solution that has been working well for me, but I’ve considered making more of these emergency kits so I could keep them ready to go in my suitcase, gym bag and glove compartment. And, of course, it will be with me when my girlfriends and I meet up again in a few months! Do you suffer from headaches? What would you put in your emergency kit? Please tell me in the comments below! 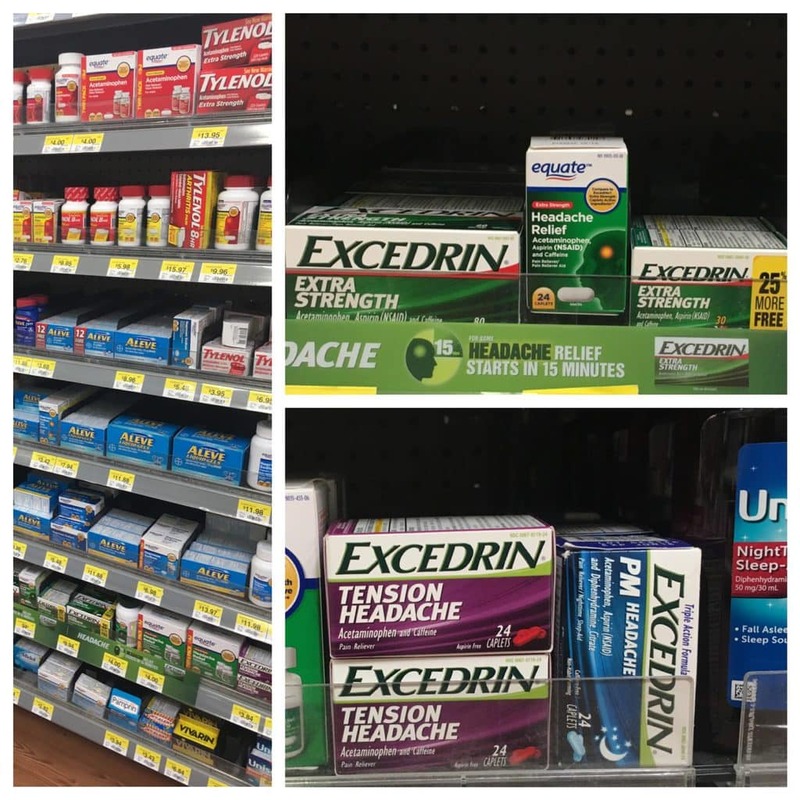 You can find all of your emergency essentials, like Excedrin® (use as directed), at Walmart. Then, head over to read more stories like mine, and learn ways to manage headaches so you don’t miss out on life’s important moments. This is so cute! Id love to make my 5 granddaughters a small hobo leather bag. Do you have a “pattern” or ideas for one? Thank you. I don’t have a pattern for a hobo bag, but I have found tons of great leather bag tutorials on Pinterest. Your granddaughters are pretty lucky to have someone who makes them amazing things! This is awesome! I love to have the necessities available at a moment’s notice. This clutch is the cutest!! 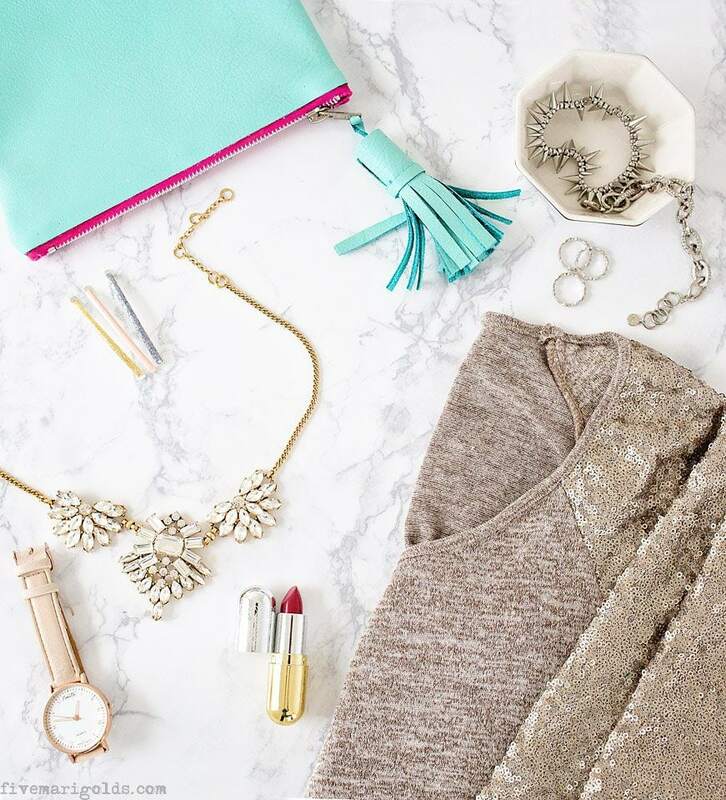 It’s so important to have the essentials on hand!! OH my word!!! You made that!? So simple and adorable! Genius idea! It looks so easy! I love anything no sew 🙂 Thanks for sharing it! 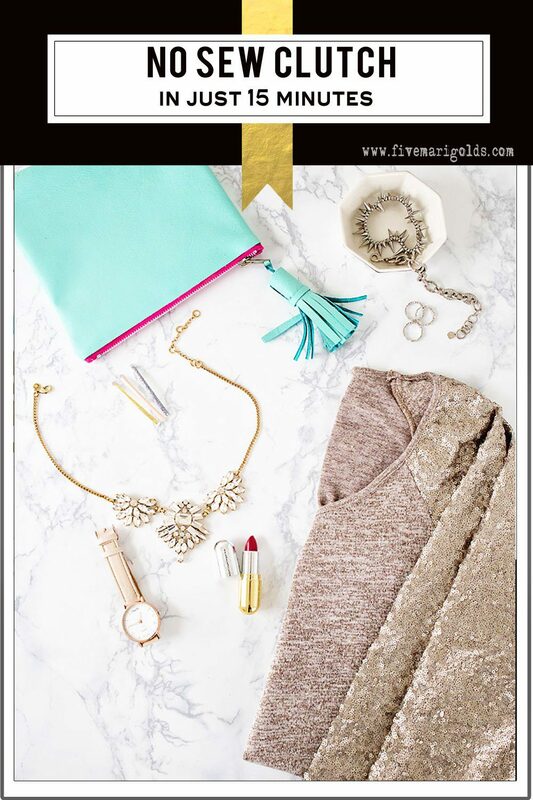 This clutch is amazing! I want to make it to go into my purse now! The clutch it so cute! I had no clue how easy it is to put together. I do have a headaches so I carry Excredrin and also chapstick everywhere! Excederine is a lifesaver. This is such a cute DIY, I may have to make a couple for myself! Oh wow if I didn’t read this I would have thought you bought it. Great job making this bag. This is such a cute little bag! I have soooo many makeup bags kicking around. How easy is this! Getting my creative juices flowing! This is SO cute and beyond smart!! totally putting one of these kits together! Wow! This is the best DIY I’ve seen in forever! This is totally cute, doable (in my case! ), and super handy. Pinning! Thank you for spreading the love on Pinterest, Patricia! I’m so not great with sewing, so this is more like it for me. Actually looks doable! what a cute clutch. Great idea. This is great. I like your small bandages for foot blisters. However, I’d suggest a few extra things. Microfiber cloth for cleaning devices or glasses, tiny flashlight, and an empty ziplock or plastic bag – great for trash or finding the perfect looking pinecone for your next pinterest photoshoot. Eh, who am I kidding – I’d also throw in a lightweight powertool or 6 and a tablesaw. You never know when you need to do some impromptu woodworking. LOL love these suggestions. I’m always needing one of those cloths for cleaning glasses and a plastic bag is another great one! I love the bag – and that it’s no sew! Perfect for me. haha I like this idea. I’m a big fan of those mini emergency kits you can buy, but it’s always good to have one that has the things YOU would personally need. Will try this for my emergency stash of Excedrin pm . really great idea.